Today is day 2 of the release in review segment for the May release. I have 3 cards using these 2 sets, an d all happen to be one layers. The first one is made using an older set of Simply Said block I, I used the black block and swiped it across the distress ink pads and stamped straight on the card, swiping across gives it an interesting look. I used a heart block in pink and sentiment is stamped in black. I drew a circle using a pencil to guide m stamping here. I used Altenew inks here to stamp all the images, the sentiment is stamped in the center, a simple card. I first stamped the outlined flowers and then used the leaf stencil to add some leaves and stamped the sentiment to finish off. 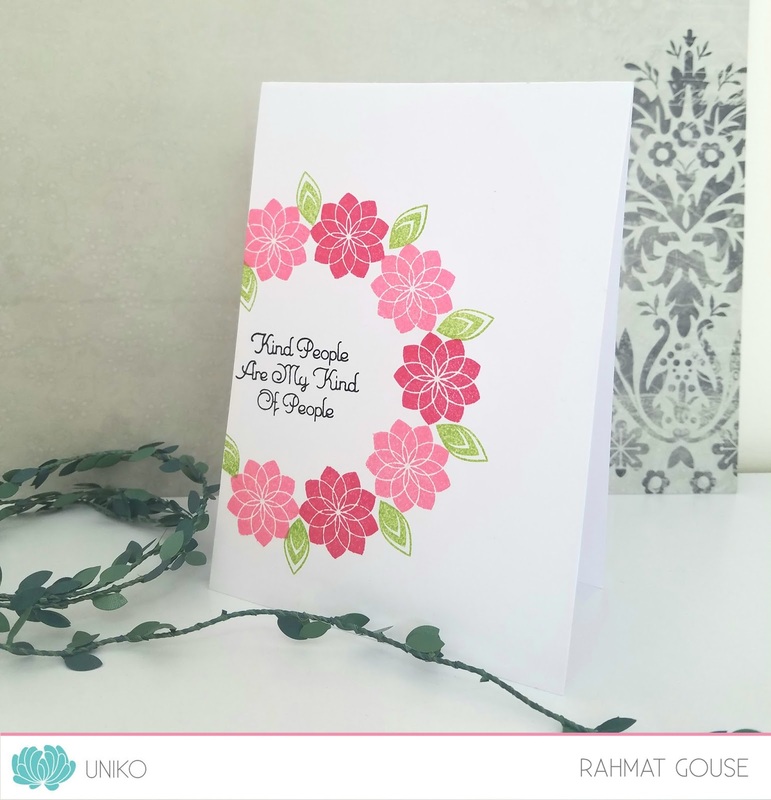 A trio of lovely cards, Rahmat - and all the more impressive in being one-layer! The wreath is especially eye-catching! 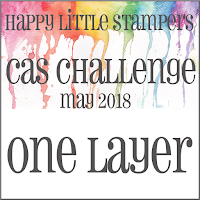 So thrilled to see you in the HLS CAS Challenge gallery, too! What fabulous stamping Rahmat, it's completely immaculate, with super designs too! Love the way you have created a wreath with the FLower Power set.